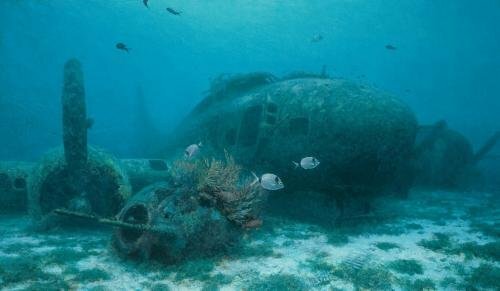 There are few scenes quite so evocative as the vision of a once mighty warbird resting silently in its watery grave, a tranquil underwater world so alien to the world that it was created to fly and fight in. Far removed from the hostile skies of Europe and the long hours of tension, cold and extreme danger endured by its crew, this potent warrior now lies peacefully, its guns silent and quiet forever in the shallow waters of the Mediterranean where it came to rest so many years ago. This is without doubt an extraordinary and moving tribute to those young airmen of the USAAF.